1 Good Reason – Social Marketing — We don't make websites, we make websites better. No images: Using no images or graphics will result in boring pages, regardless of how good your texts are. Using duplicate images: Unfortunately, there are still rather few services that allow checking images for being unique or already a copy of an existing image available in Internet (do not mix with checking for duplicate images on your local drive). Some SEO tools like SE Ranking SEO audit check images for being unique as part of their audit. Large images: Using huge, slow-to-download images is the most serious mistake newbie often make. Experienced web designers can still make the same mistake – everything is compressed and well-edited, but one uncompressed photograph may sneak through, making the entire page unbearable to download. Small resolution image doesn’t always equal to small image files, through a simple HTML tag you can still inadvertently display a huge 4 Mb image as a small picture. Improper size and placement: Users will be annoyed by outrageously large and poorly positioned images. Your image size should be about half the text body width and placed on convenient areas such as at the top of the article or between paragraphs. Irrelevant images: Your images should accentuate your articles. A news article about rising stock prices should use relevant images such as jubilant brokers in stock exchange floor, while using irrelevant images like a garden will leave your visitors confused. No text alternative: A large number of vision-impaired users are using the Web, while others surf with disabled images due to slow connection. You need to accommodate them by creating your Web site in a way that allows text-only access. Try this experiment: open your browser, disable the graphics, and visit your Web page. If you are confused about what’s on the site, you should redesign your page. According to SEO concepts, using an image without text alternative can undesirable, as anchor text has an effect on backlink quality for your internal pages. Some sites have a complete parallel set that is entirely textual rather than graphical. It will let a user chooses whether he wants simple, fast text-only pages or attractive, bandwidth-sucking image-laden pages. Popular sites such as Wikipedia also run a mobile version with minimal images to allow faster access through cell phone or for those with sluggish connection. In some countries, creating text-based version can be overkill but there are millions of people in developing countries who are still stuck with slow dial-up and GPRS connections. Consider offering a text version, with minimal use of images, less complicated layout, and alt-text for images. This could be just the only opportunity for users with badly impaired sights. As you develop a site, think about the way your page will appear with all images turned off. Test your site in different browsers. Use ALT attribute inside the IMG tag, so text explanation appears whenever an image isn’t displayed. Use text-only menus instead of image maps and icon-based selections. If you wish to accommodate everyone, you should build a separate, text-only version. If you are considering building a Web site that is accessible by mobile devices such as smartphones or tablets, then developing a text-only version will make a good deal of sense. Give me 1 good reason why you should disregard the golden rules of image placement? It’s a simple question really: “What’s your social media strategy?” And I ask people all of the time. 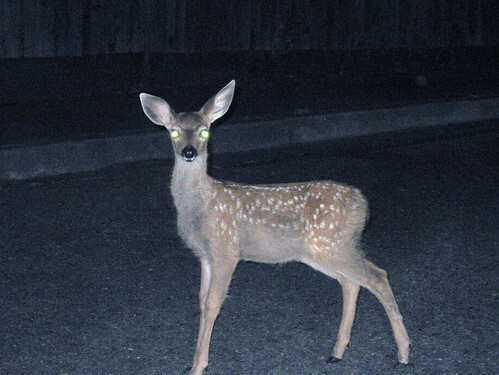 I’m a little surprised at the deer in the headlights looks or deafening silence on the conference call as a response. Too often we’re trapped in the tactics and we forget the strategy element of what we’re trying trying to achieve. So I thought I’d share some thoughts on the best social media strategies. Increase Sales – Driving revenue with social media. Increase Brick and Mortar Traffic- Using social media to drive visitors to a venue. Increase Web Traffic- Using social media to drive visitors to a website. Raise Brand Awareness- Cause the audience to be exposed to your brand promise via social media. Manage Brand Reputation- To monitor and respond to questions and challenges to the brand perception in the market. Promote Word of Mouth- To engage with the brand advocates and influencers and activate them to spread the word of your brand. It’s seems that those in the first group, Business expect results sooner. Dollars and traffic are easy to measure and most businesses can see a result or lack of one fairly quickly. Business oriented social strategies seem to fail more often and more quickly than those in the Connections group. Is this because social media doesn’t return measurable hard dollar ROI for companies? Or is it because social media is inherently more suited to softer objectives, rather than hard dollar goals? We’ve all heard that social media is like a cocktail party, and that it’s not the place for a hard sell. The question is can social media managers execute a soft sell approach with a strategic goal like those in the Business section? I think that for many managers it’s a very difficult thing to do. Most will not be able to resist the temptations and pressures associated with chasing these hard metrics. In pursuit of the hard numbers (more people on the website, in the stores, or buying things) the marketing mangers will resort to harder and harder tactics in social media. These are the very tactics that are most poorly received in the soft sell world of word of mouth. Therefore, these managers will ultimately fail because they are pursuing a poor strategy which is not well suited to social media. Conversely, managers with objectives such as increase word of mouth, or raise brand awareness are well suited to a natural discussion. These managers can engage with a tactical advantage over their competitors who are pursuing dollars because they are there to converse, not sell. These conversations are certain to lead to sales in the long run but it will take more time. In my opinion social media is about building relationships with your audience. It takes time and patience to build relationships. If you don’t believe me, try asking the boy/girl to marry you after the first date. It never works. As does asking your social media audience to do something for you, or buy your product if you’ve not built a relationship with them first. In my mind, the most successful social media strategies target the Connections first and then seek to activate these relationships to achieve business goals. Give me 1 good reason why you should pursue Business before Connecting with your customer? Last night was a great Social Media Club New York City (SMCNYC) meetup with the cast of contestants on the new NBC reality show Escape Routes. The program is sponsored by Ford and features the Ford Escape as an integral part of the show, taking product placement back to the 1950′s. 6 teams compete each week to win $100K and 2 new Ford Escape SUV’s. And the social media audience can take part weekly in challenges and win prizes too. The website includes lots of interactive games and badges to entice the online audience to play alone. On the website you can join a team, follow the contestants on Twitter. The new twist for this show is that the contestants are encouraged to connect with their fans on social media and involve them in some of the challenges. On the first episode they were challenged to a game like “Hanging with Friends” popular on Facebook. The twist was that contestants were hung over the side of a 5 story building in a chair and pushed out on a plank with each lost round. The losers were finally “dropped” in a gut wrenching plunge to the ground. During this competition they were able to call upon help from their Twitter and Facebook audiences to help form words. NBC and Ford also tapped well known YouTube personality iJustine to film a behind the scenes “After Show” which is live streamed online. Despite airing opposite the Final Four basketball tournament last Saturday night the program pulled respectable ratings for it’s debut. Ford reported that the program got 2 million followers on the debut evening. Due in large part to iJustine’s considerable Twitter following of 1. 4MM. But also driven by the careful thought put into the social media engagement plan. Asked what are they learning about social media the contestants said had a mix of old and new: They are establishing real connections with their audience and that is exciting and for some a little scary. They are finding their social media audiences very knowledgeable and helpful. They discovered that with the unpredictability of TV filming, lots of hurry up and wait, they can’t prep their fans to help them when they need it most. Perhaps that’s something the producers need to work on? Because marshaling the social media fans for participation in an event would build a very strong bond with the contestants. I was honored to be invited to appear on the Social Media Club channel at SXSW. I was doubly honored when Chris Heuer the Chairman and Co-Founder of the club decided to interview me. As much as I hate the sound of my voice and my look (as do most people) I think it went pretty well. Please let me know your thoughts in the comments. We discussed the challenges facing larger organizations as they start to run social media at scale. If you haven’t joined Social Media Club you should because it is an organization that hosts conversations exploring key issues facing our society as technologies transform the way we connect, communicate, collaborate and relate to each other. Social Media Club enables you to explore your personal and professional passions by helping you connect with a community of your peers based on both geography and areas of interest. We exist to ensure that the world of Social Media does not become an echo chamber of self-reinforcing thoughts, but is instead fueled by diversity of opinion and perspective. I’ll be at South by Southwest in Austin next week. So if you’re going, I’d love to meet you, please look me up and say hi! I’ll be there Friday 3/9 through Monday 3-12. We can connect via email, or just hit the Contact Us page above and email me. You can always find me on Twitter at @ckieff. I can’t guarantee but this is my schedule and I’ll be at many of these conferences. Please check back later in the week, because today it’s a wish list and I’ve got 15 things scheduled for the same time. If you’ve got an event that you’d like me to live blog while we’re at SXSW please let me know and I’ll do my best to be there.